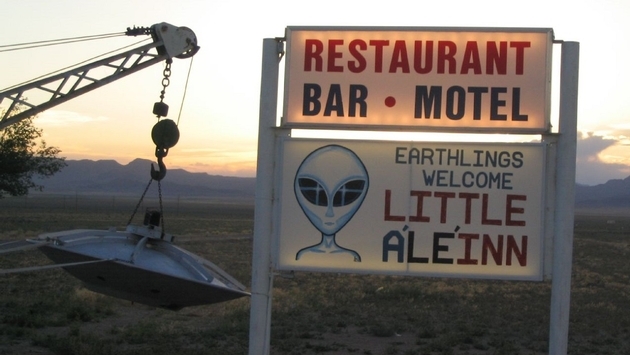 Want to Fly to Area 51? Here’s Your Chance! A highly secretive American airline that transports government employees to one of the most restricted areas in the country is looking for new cabin crew members. According to the Daily Mail, the United States Air Force operates flights from Las Vegas McCarran International Airport to a military base in Nevada, better known as Area 51, and the mysterious airline has listed a job opening on the website of a private defense contractor. The carrier is often referred to as JANET Airlines due to its civilian airspace call sign, and anyone who boards the plane without any logos is sworn to secrecy about where they're going and what they do for a living. Flight attendants interested in the position must be able to perform typical crew member tasks like briefing passengers on safety and emergency procedures, but they also have to qualify for a top-secret government security clearance and be able to handle turbulence, weather delays and even hijackings. While the job listing doesn’t mention what the salary for the position would be, it is a full-time position that reportedly operates out of a private terminal at the Las Vegas airport designed for all JANET Airlines flights. UFO expert Nick Pope told the Daily Mail the airspace above Area 51 base in the Nevada Test and Training Range is some of the most restricted in the world. The belief is the facility is where the government builds and tests its newest military hardware.